This PDF 1.5 document has been generated by LaTeX with hyperref package / pdfTeX-1.40.18, and has been sent on pdf-archive.com on 16/08/2018 at 12:58, from IP address 193.137.x.x. The current document download page has been viewed 78 times. Abstract: This paper presents a three-phase loss allocation procedure for distribution networks. per bus and per phase expressly considering non-linear load models for Electric Vehicles (EV). embedded allocation procedure (pro rata) using non-linear and standard constant power models. How much should an EV load pay for the incremental losses in the grid ? allocated in a proportional manner among all distribution loads ? provide volt/var support in order to improve voltage profile and reduce system losses ? 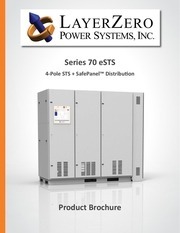 recently in distribution systems considering increasing integration of distributed generators . affected by voltage fluctuations (constant power load models). carried out to assess locational marginal pricing and EV charging management . impact of EV loads on incremental losses. exponential, constant power, current and impedance depending on EV load parametrization. The method is illustrated in a unbalanced 12.47 kV feeder with 12,780 residential customers. 1000 units corresponding to 5%, 10%, 15%, 20% and 25% of consumption without EV presence. defines the case study. Section 4 discusses the results. Section 5 draws the conclusions. Figure 1. Three-phase distribution system with Electric Vehicles (EV) loads. power loads do not depend on voltage fluctuations. source bus i = 1.
where a + b = 1.
during a defined time interval T.
distribution level can be used instead [24,25]. matrix (YBUS ) between phase p at bus i and phase m at bus k.
It must be highlighted that the application of MLCs produce an over-recovery of losses . (line-to-line) source. The feeder has 1828.8 m (6000 ft) long and an average pole span of 91.44 m (300 ft). Table 1. The loading scheme considers a substation with four main feeders in a high density area. feeder is considered for the proposed analysis. Single phase derivations and laterals are neglected. Table 1. Base load: No EV connected, only PQ loads. values per phase and bus (as shown in Table 1) ensuring unbalanced operation. Figure 2. Base load curve: No EV connected, only constant real and reactive power (PQ) loads. (approximately 1.04% of total). The worst voltage drop is 3.69% at node 21 phase a.
operation schemes is addressed using Monte Carlo simulations with stochastic EV demands [32–36]. country with specific patterns of consumption. base case, respectively, as shown in Table 2. Table 2. Base load, EV load, total load, and share at each level. Total load at level k is the sum of the base load (level 0) and the EV loaf at level k.
Slow charging at off-peak load conditions: 3.75 kW (16 A) 8 h.
Fast charging at peak load conditions: 7.50 kW (32 A) 4 h.
from  for a resistance R = 1.0 ohm. Section 2.3.1 and the standard roll-in embedded method discussed in Section 2.3.2.
admittance matrix were taken from OpenDSS simulation tool . 25% in total daily consumed energy by EVs with respect to overall PQ load consumption. maximum values of demands and losses, respectively. Figure 3. Off-peak load scenario: 24-h power losses by EV penetration level. almost 50% in magnitude, the relative energy losses remains constant around 1.05–1.08%. energy losses; (b) loss factor; (c) load factor. observed between 01:00 and 09:00 are significantly lower than ones achieved between 10:00 and 22:00.
to those achieved between 10:00 and 22:00 when no EV is connected (around 0.02–0.03 along the day). method applied to recover the power losses. (Level 5, 25%) cover more area (in time and location) than MLCs produced by lower levels. (they should pay for 1389 kW·h/day with respect to 1372 kW·h/day under the proportional approach). factor capable to recover the cost of losses. between EV and PQ loads consumption is 25%. The EV share of losses is lesser, 18%. lesser responsibility in the coverage of the entire energy losses. Figure 6. Off-peak load scenario: MLCs pattern by node and by time (Levels 0, 3 and 5). penetration of 25% of base energy consumption along one day. incorporation of slow EV charging stations. Figure 8. Peak load scenario: 24-h power losses by EV penetration level. circumstance, the effects of EV charging stations at peak load condition are too harsh. 0.07 at peak time (18:00 and 21:00). Figure 10. Peak load scenario: MLCs at Bus 21 by EV penetration level and by time. near to substation pay less for power losses than farthest loads. Figure 11. Peak load scenario: MLCs at 20:00 by EV penetration level and by bus. the peak load condition. The reconciliation factor kr also fluctuates around 0.5 in all levels. Equations (18) and (28) were applied for the marginal and pro rata procedure, respectively. Table 4. Peak load scenario: total losses allocated to PQ and EV loads (kW·h/day). and pro rata loss allocation produce dissimilar results. EVs must pay for additional energy losses. loads take advantage of the marginal procedure since they have not to pay for additional losses. almost 0.43 USD/day. This amount corresponds to 29% of total payment for energy (1.5 USD/day). important since the best economic solution for the EV is charging under off-peak conditions. use and location of the EV charger. from 0.0 (PQ load) to 0.10. Results of the sensitivity analysis are depicted in Figure 13. Figure 13. Sensitivity analysis: MLCs and total losses against EV parameters α and b.
) is 0.014401769 and total losses to be allocated ∆W is 2284.12 kWh/day. system losses should be devoted to include more detailed models. EV penetration. Two operational cases with two different type of charging stations were considered. Results obtained were also compared with a traditional roll-in embedded method (pro rata). appraise the overall losses to be allocated. result analysis and wrote some parts of the manuscript; all the authors analyzed the data and proofread the paper.
! **** 12.47 KV LINE! Table A1. EV units connected per bus and per phase at each EV penetration level. Auckland, New Zealand, 30 October–2 November 2012; pp. 1–6. open access. IEEE Trans. Power Syst. 2000, 15, 1218–1224. Costa, P.M.; Matos, M.A. Loss allocation in distribution networks with embedded generation. IEEE Trans. Galiana, F.D. ; Conejo, A.J. ; Kockar, I. Incremental transmission loss allocation under pool dispatch. BC, Canada, 21–25 July 2013. Heydt, G.T. ; Chowdhury, B.H. ; Crow, M.L. ; Haughton, D.; Kiefer, B.D. ; Meng, F.J.; Sathyanarayana, B.R. under an incremental network-loss allocation approach. IEEE Trans. Energy Convers. 2008, 23, 612–621. Kaur, M.; Ghosh, S. Effective Loss Minimization and Allocation of Unbalanced Distribution Network. Hong, M. An approximate method for loss sensitivity calculation in unbalanced distribution systems. Latin America Conference and Exposition (T&amp;D-LA), Montevideo, Uruguay, 3–5 September 2012. Stoft, S. Power System Economics; IEEE Press &amp; Wiley-Interscience: Hoboken, NJ, USA, 2002. Kersting, W.H. A three-phase unbalanced line model with grounded neutrals through a resistance. USA, 20–24 July 2008; pp. 12651–21652. Dugan, R.C. ; McDermott, T.E. An open source platform for collaborating on smart grid research. Cavtat, Croatia, 13–16 May 2014; pp. 1409–1416. Universities Power Engineering Conference (AUPEC), Wollongong, Australia, 27–30 September 2015; pp. 1–6. This file has been shared by a user of PDF Archive. Document ID: 01885805.